“Sethemba: Man of Tomorrow” aims to address the numerous social issues our nation is facing today in an exploratory, honest, yet culturally engaging manner. 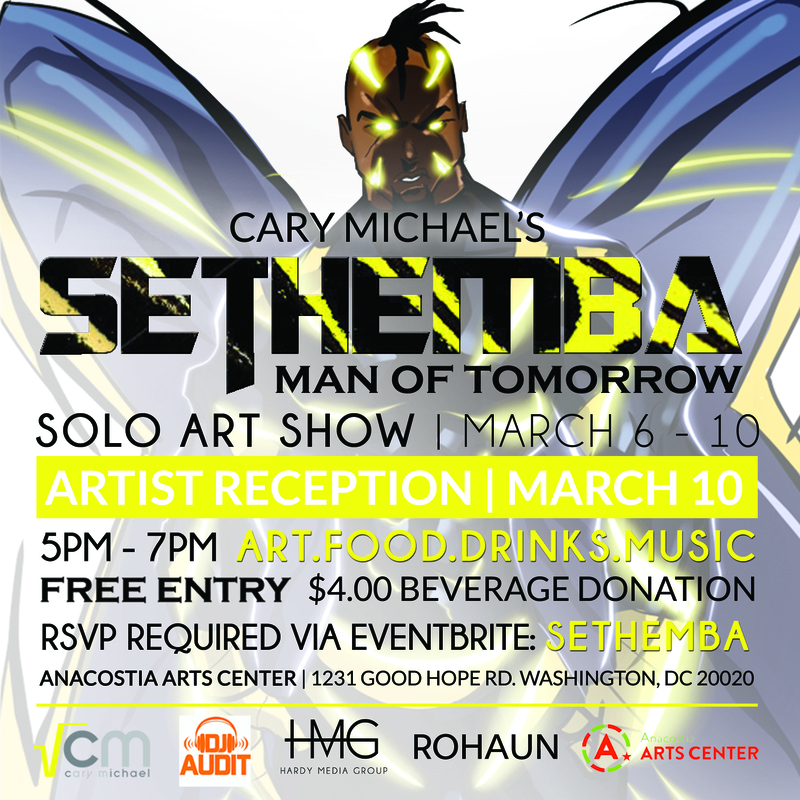 Showcased in a series of mixed media, sequential-styled works of art, each masterpiece features the fictional superhero “Sethemba” (Zulu word meaning “hope”) as a swallowtail butterfly who has been summoned to resolve various prominent issues of today such as social injustice, domestic violence, depression, acceptance and anxiety. From Sethemba’s inception to his evolution, this exhibition provocatively documents his maturation into an all-powerful “superhuman”, bearing extraordinary attributes such as regeneration, duplication and augmentation (as demonstrated in select works of art). Upon conclusion of this exhibition, it is my “hope” that viewers can depict Sethemba as a role model figure and acquire a sense of joy and healing in the belief that our nation will soon be relieved from the recurring societal issues we continue to endure.